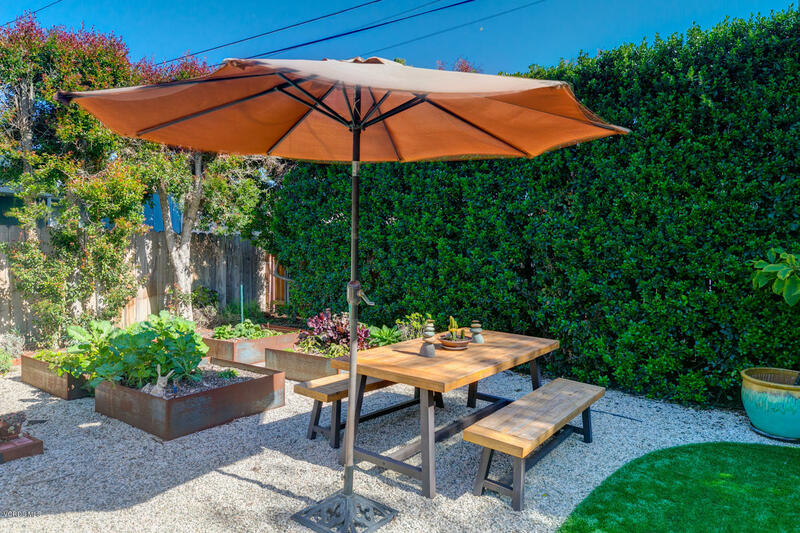 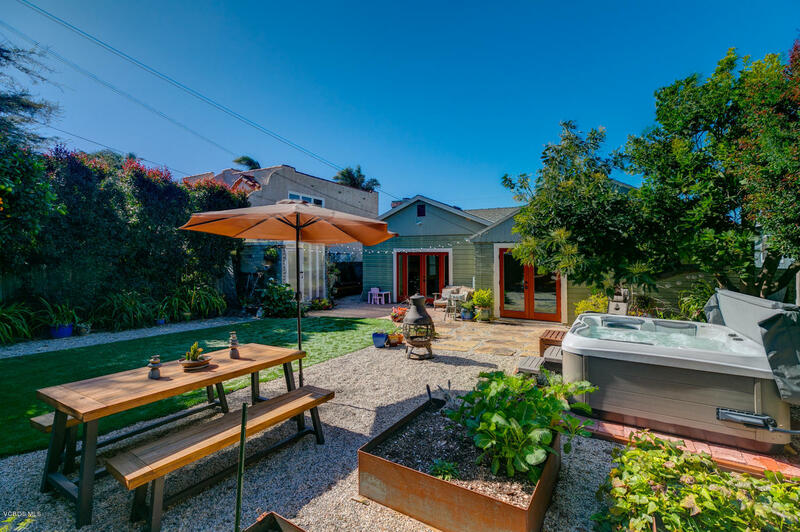 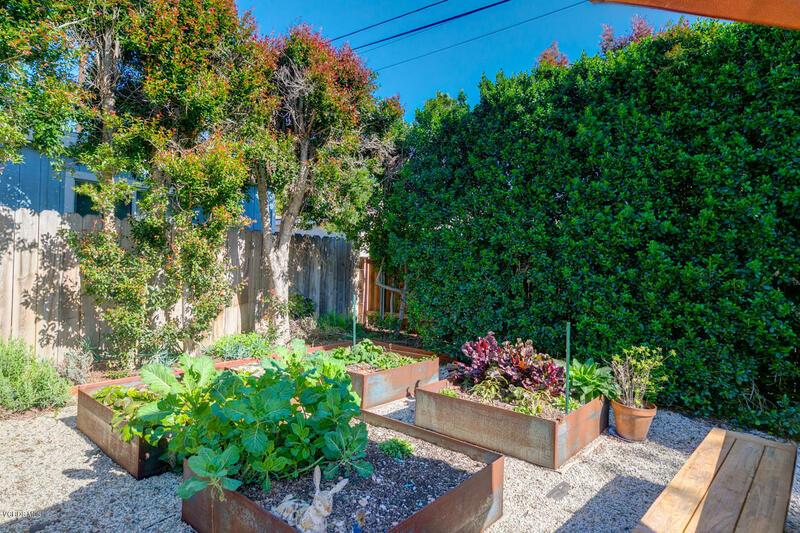 A garden lover's paradise in midtown Ventura. 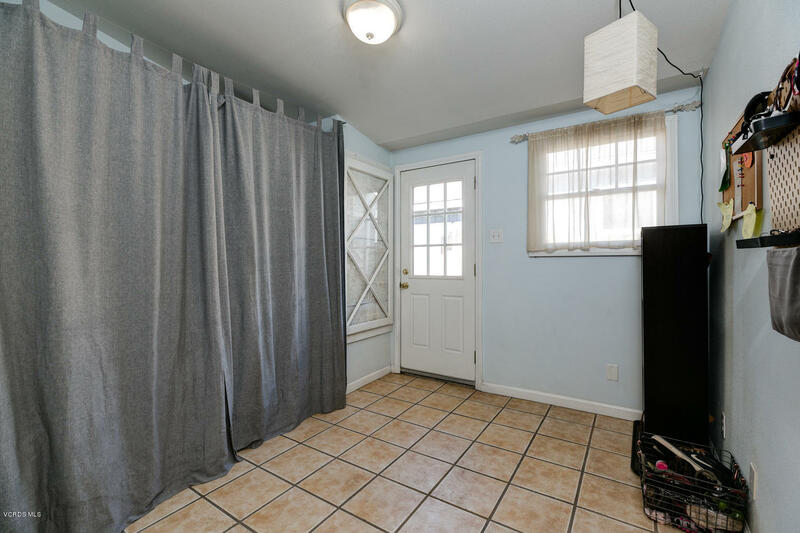 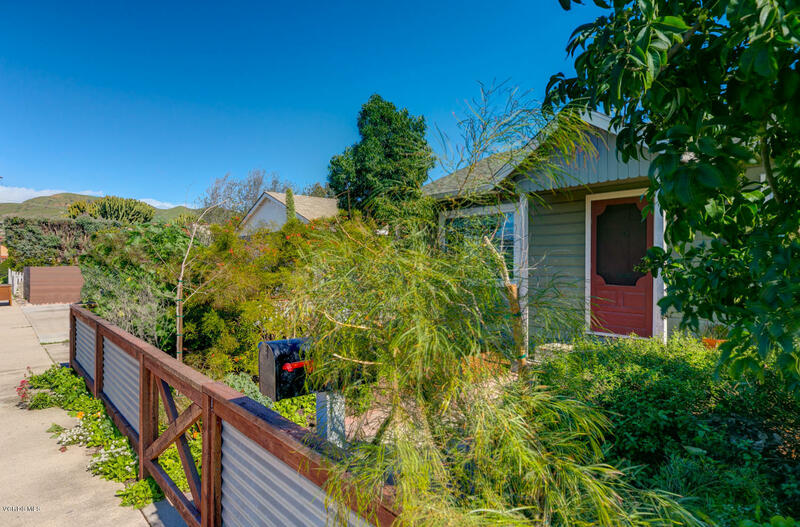 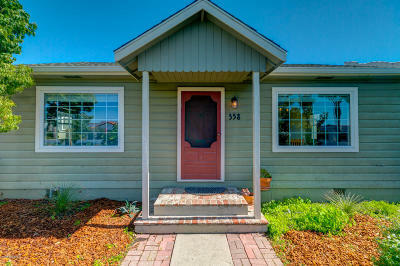 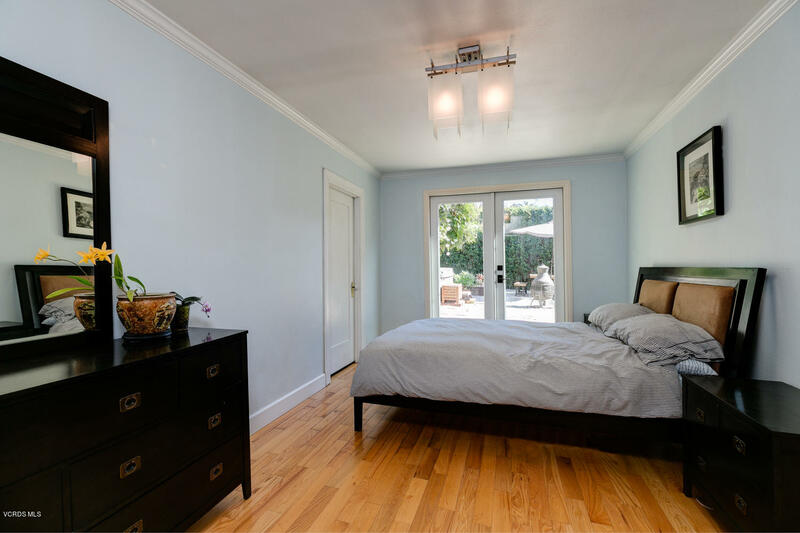 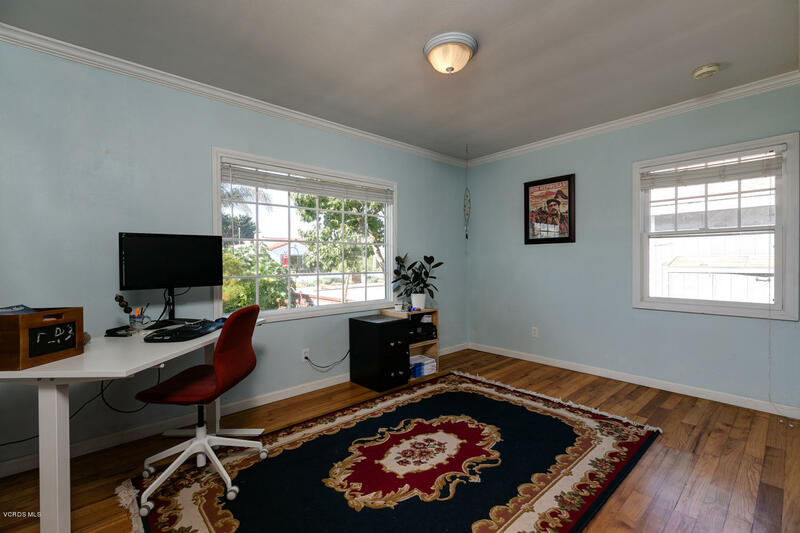 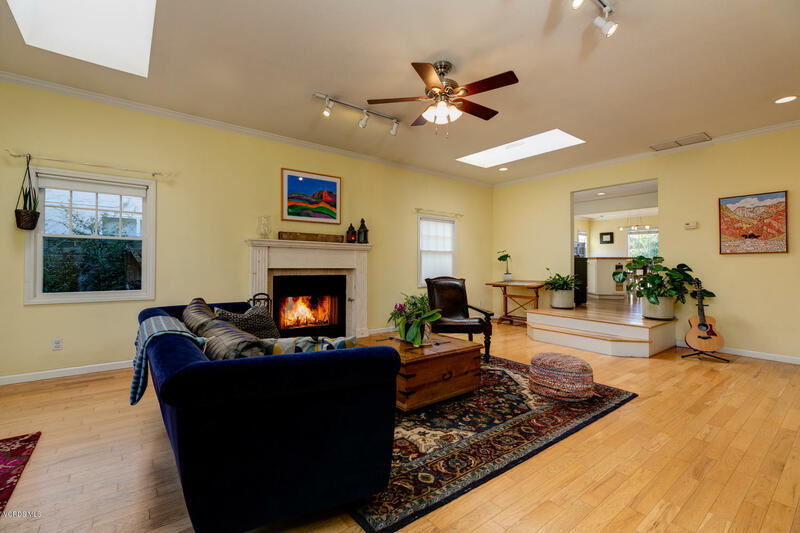 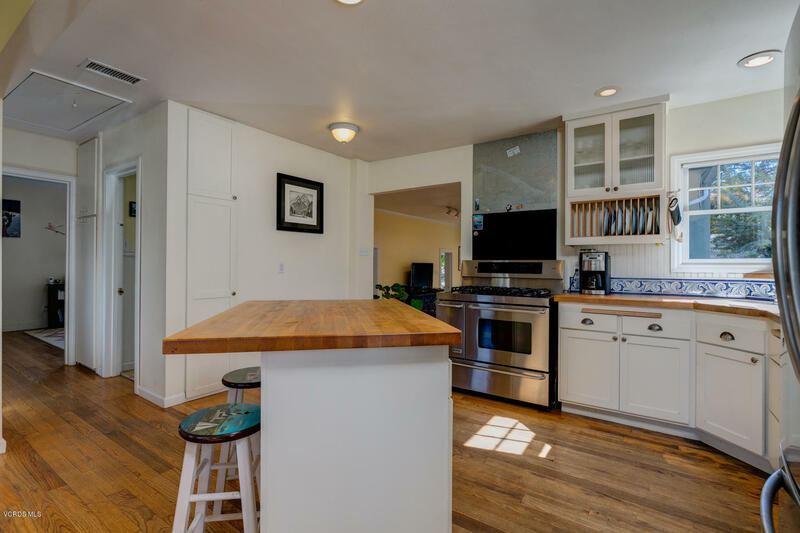 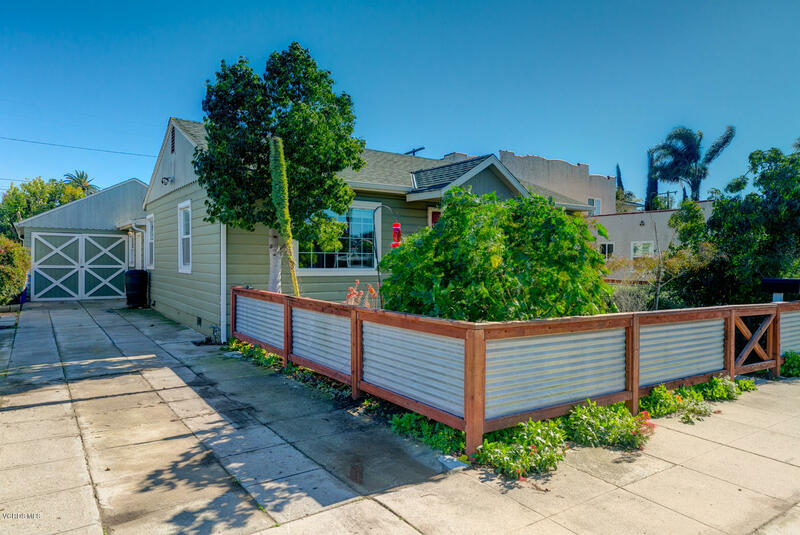 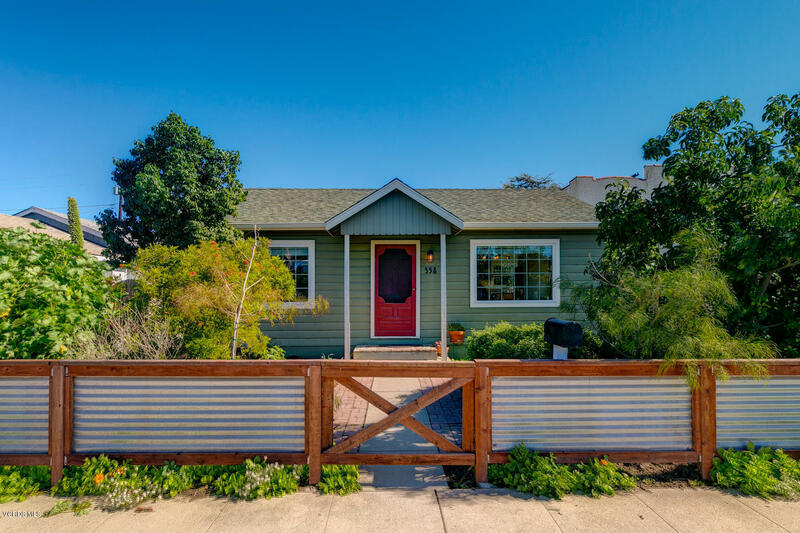 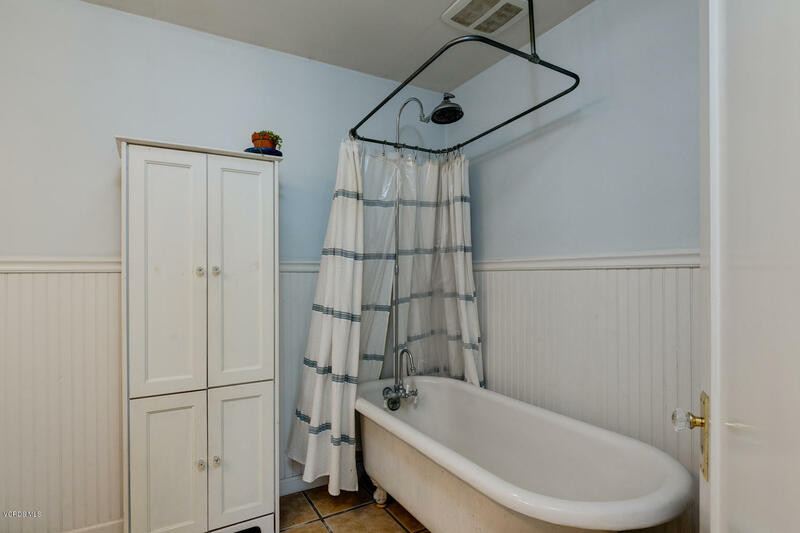 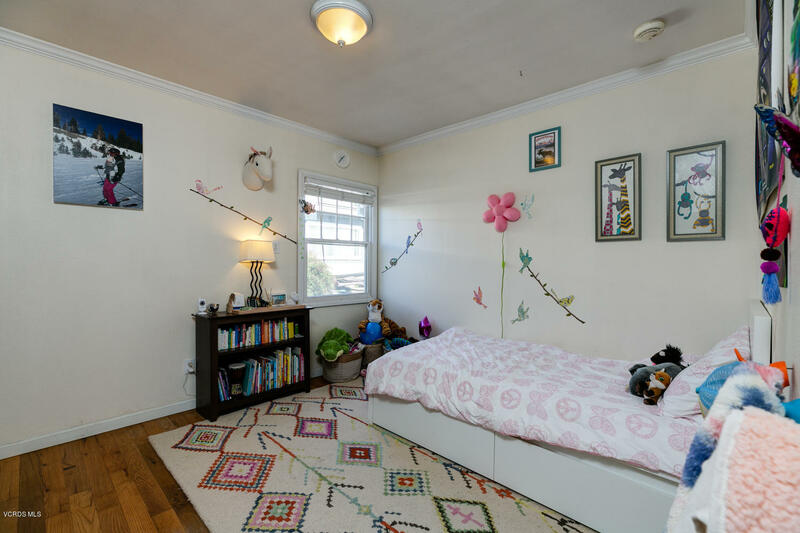 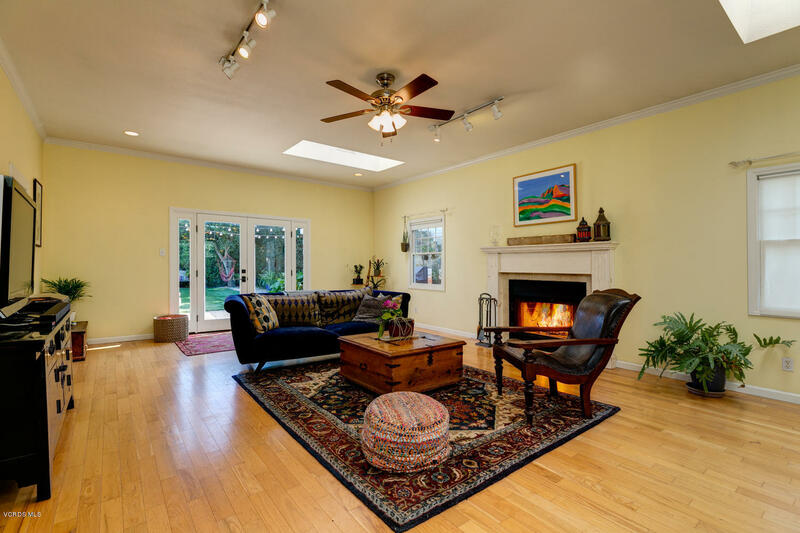 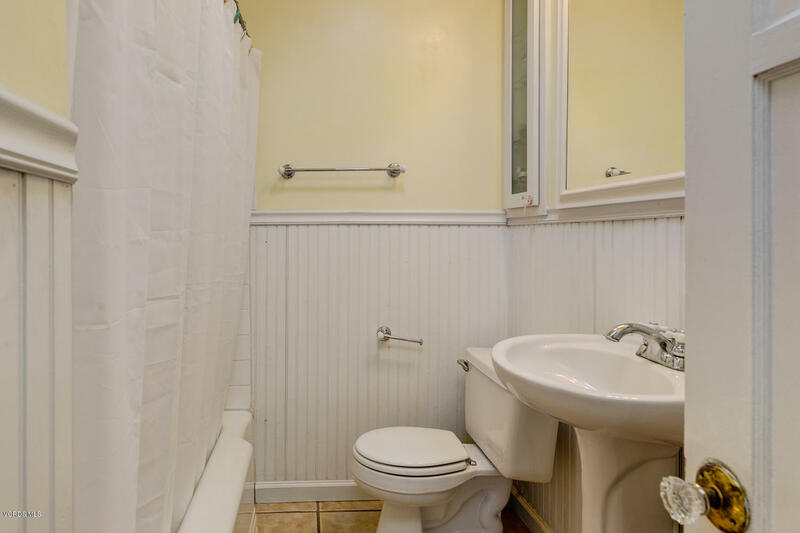 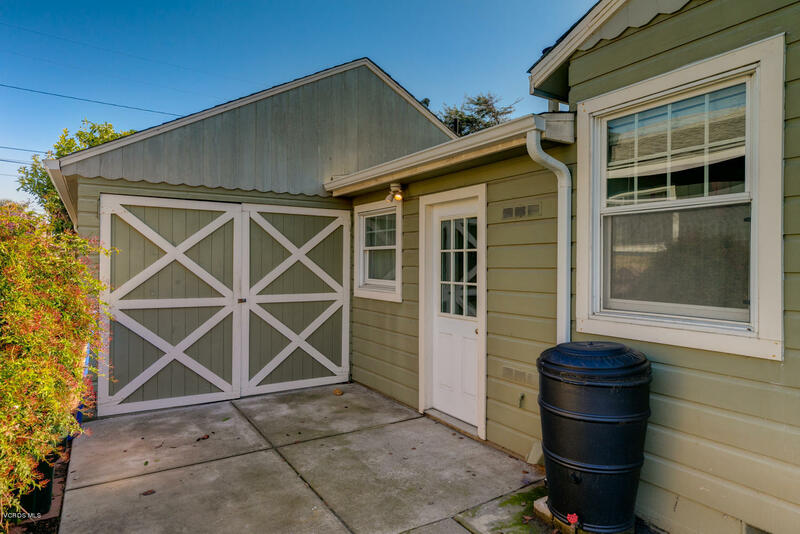 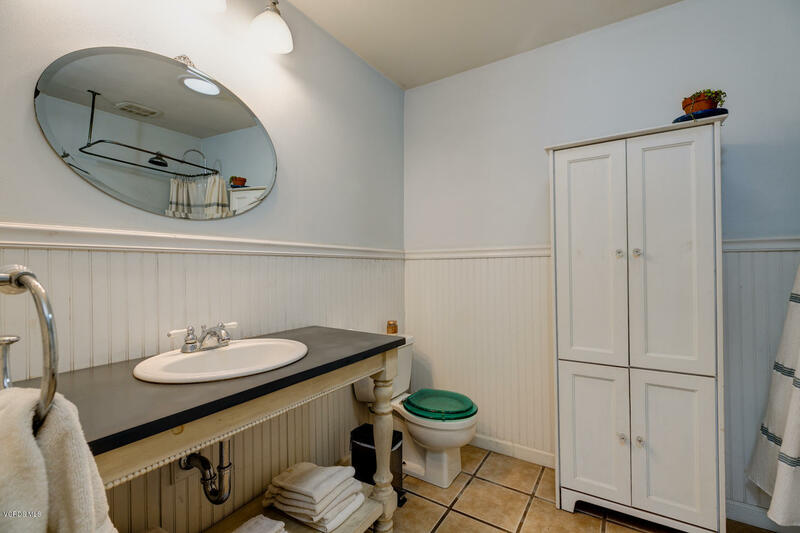 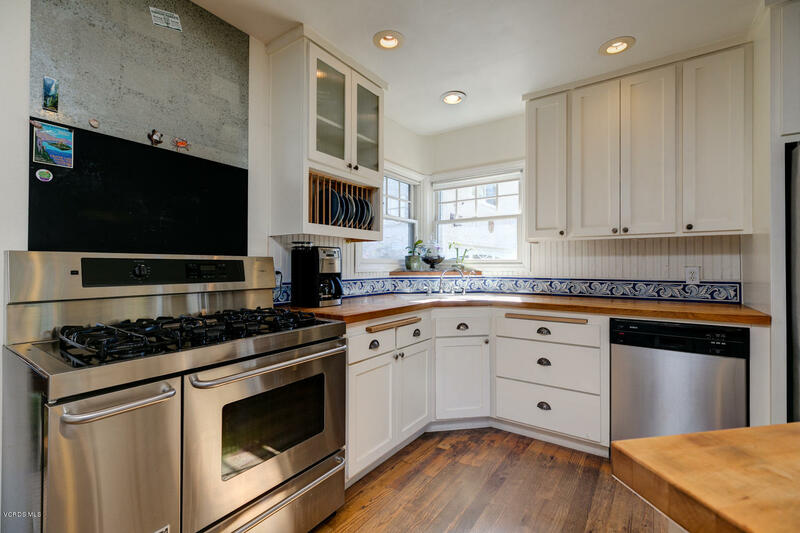 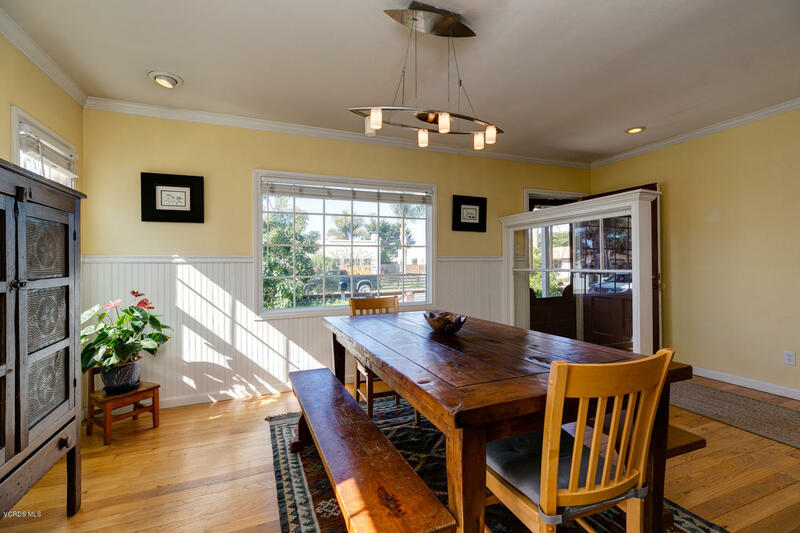 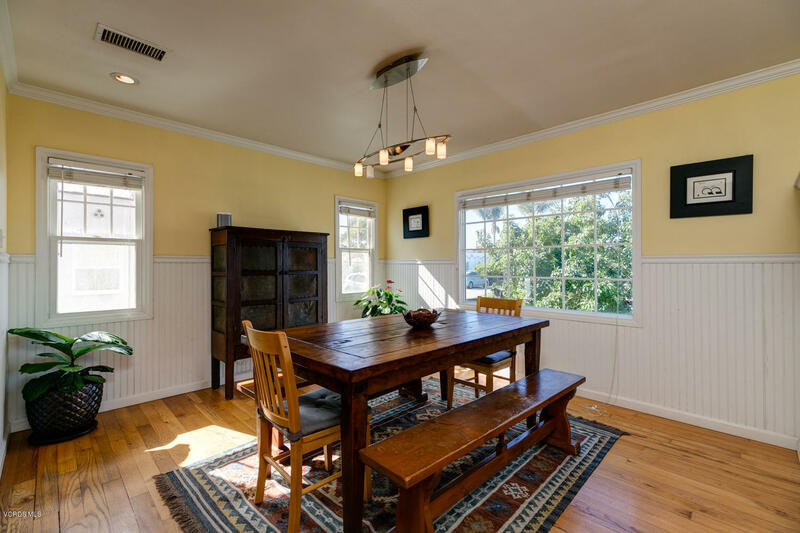 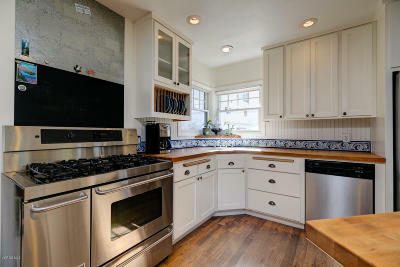 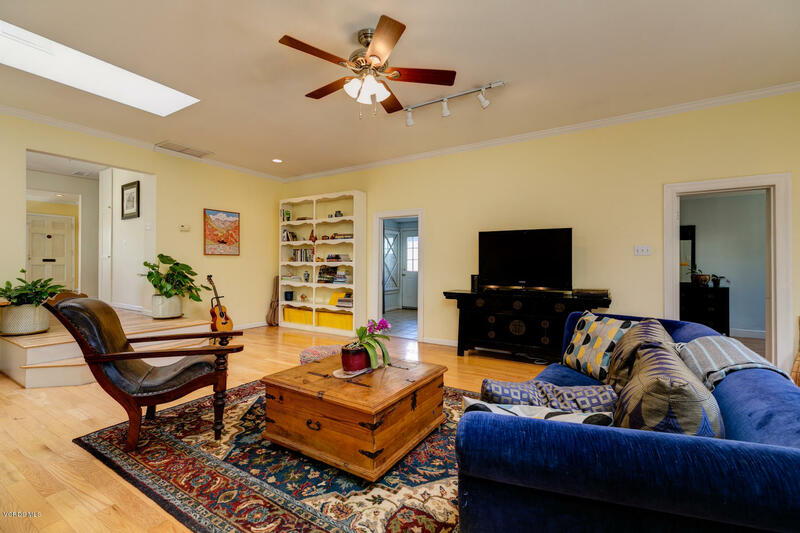 This beautifully remodeled, open-concept 3 bedroom, 2 bath home features high ceilings, expansive windows, skylights and wood floors throughout, creating a spacious and comfortable living space. 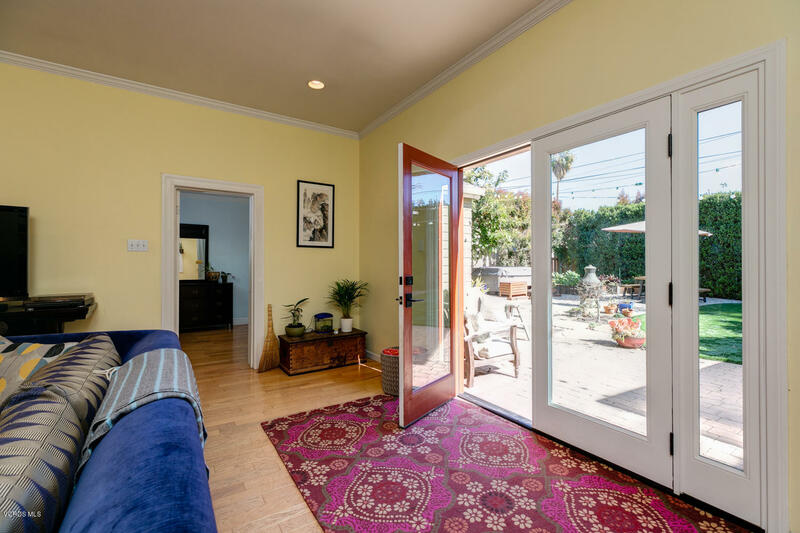 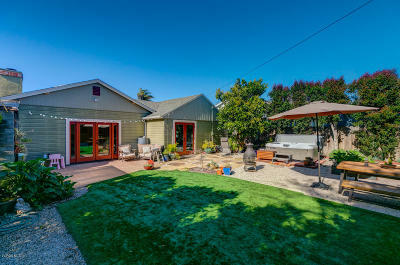 French doors lead to a very private backyard, perfectly suited for relaxing or entertaining. 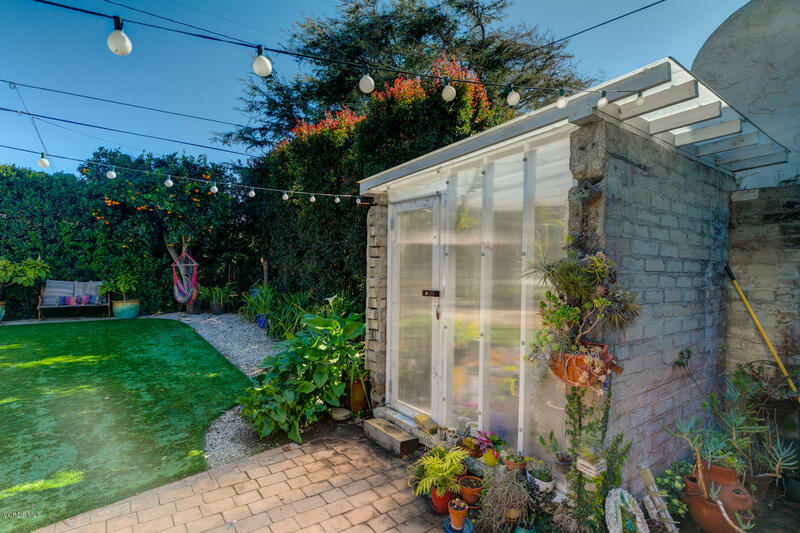 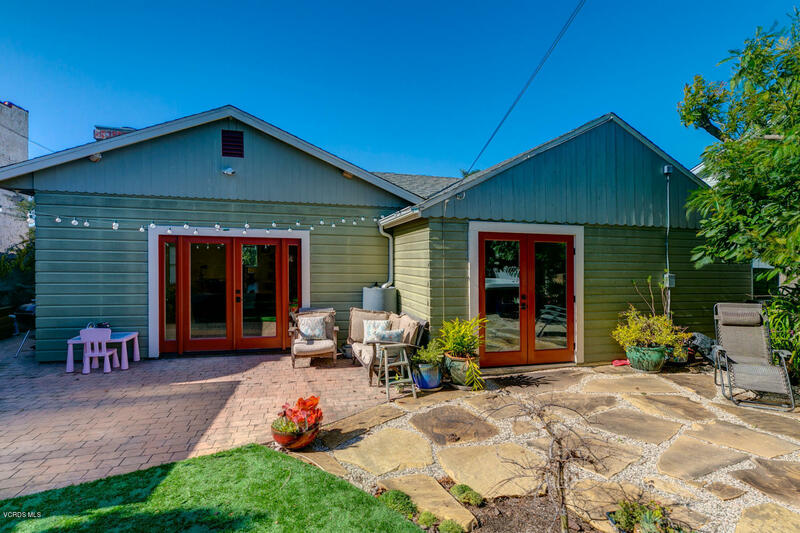 The professionally landscaped space includes water-wise gardens, a lovely greenhouse to fill with your favorite flowers, mature fruit trees producing avocados, oranges and sapotes and raised garden beds. 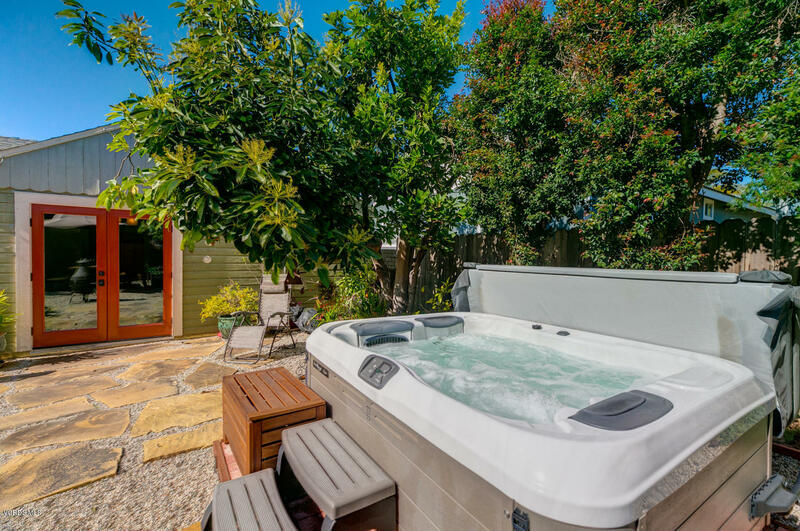 The master bedroom and bath, which includes a claw foot tub and walk-in closet, has french doors leading to a spa for stargazing in the evenings. 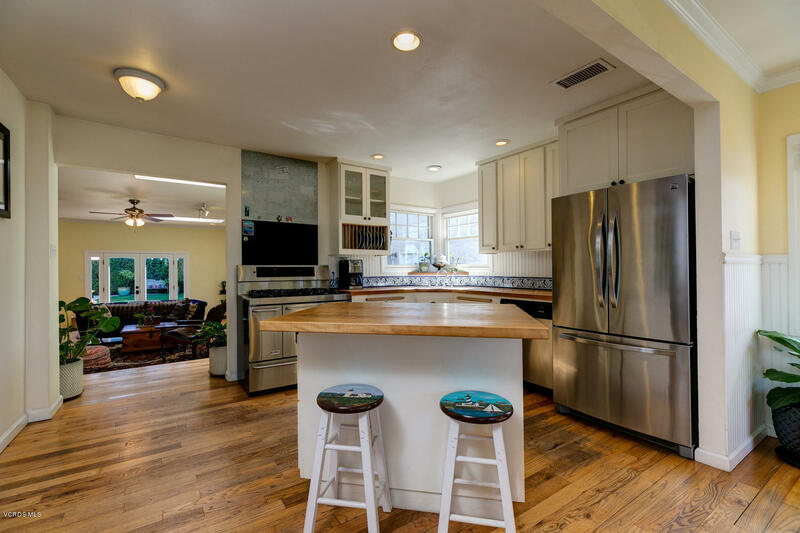 The open kitchen and dining area is dinner-party ready and the living room with wood-burning fireplace is the spot to be on those chilly nights. 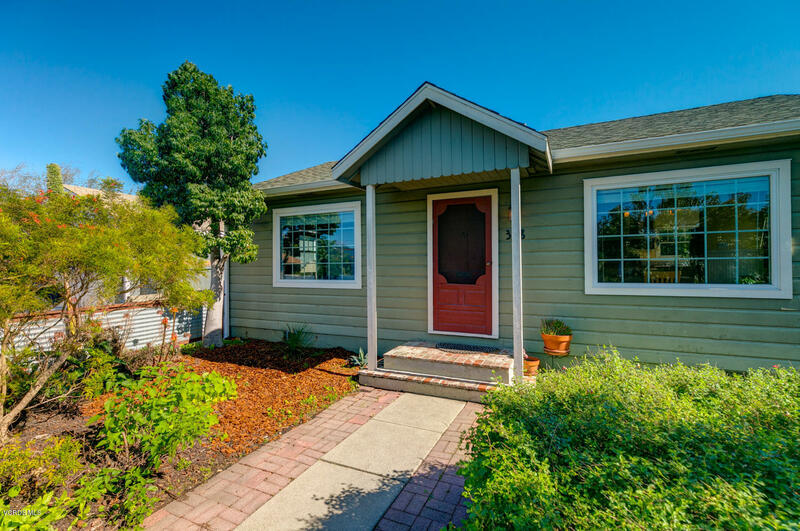 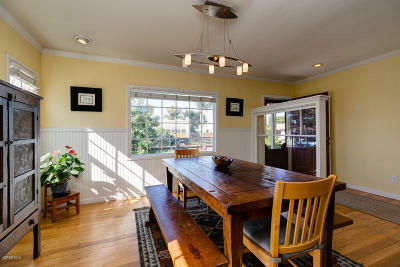 The home is ideally located close to the beach and downtown, but a world away! This property is a one-of-a-kind charmer~ don't miss the chance to make it yours today.